The New Year is a great time to make some changes to your life, but instead of pledging to give up certain pleasures, why not promise to take up new challenges instead? 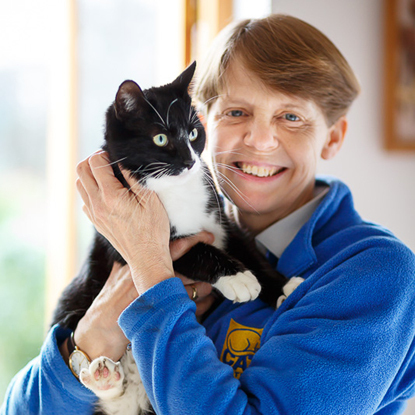 Volunteering is a fantastic way to learn new skills and try new things and here at Cats Protection we have a wide range of roles available, each with training available to help you develop and help cats at the same time. In an increasingly more digital world, learning about different online platforms is incredibly useful for many aspects of daily life. By volunteering to manage the website or social media pages for your local branch or centre, you could discover what it takes to create great online content and connect with cat lovers all over the world. 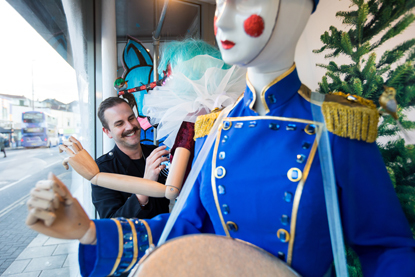 Have you ever walked passed a tired looking shop window display and thought you could do better? Our charity shops receive all sorts of kind donations and so creating exciting displays is important for encouraging people to buy them. A great chance for you to get creative and use your imagination, all to help raise money for the cats. You might think you know all there is to know about cats, but there is always something new to learn about these curious creatures. If you become a cat care volunteer you’ll get lots of training on how to handle felines and learn lots on the job as you help to feed and groom the cats and keep their pens clean and tidy. 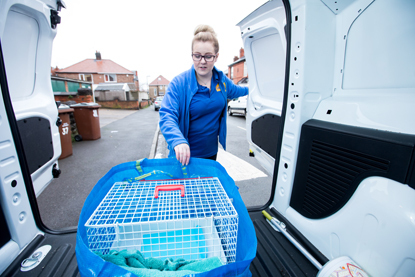 Our branches and centres rely on people getting out into the community, driving cats to and from the vets, trapping feral cats to be neutered and speaking to the public about various campaigns. If you’re a bit bored at home, or tired of being stuck in an office, these tasks would be the perfect opportunity to explore your local area a bit more. 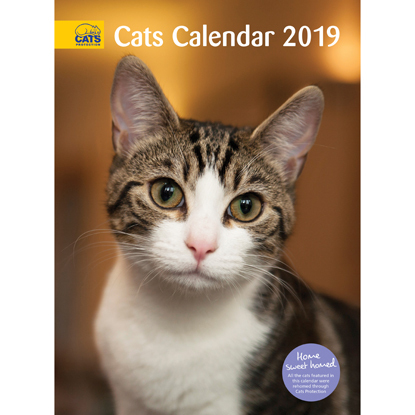 Whether you’re organising an event, running a stall, or even doing a collection at the local supermarket, fundraising for Cats Protection is a great way to get chatting with fellow cat lovers. Even if you don’t manage to encourage them to part with their cash, you’ll still get the chance to tell them a bit about what the charity does and bond over some cat chat. If you’d like to improve your public speaking skills or gain confidence talking to others, then what better way to do it than by talking about cats? You could sign up to be a volunteer speaker, giving talks to schools and community groups about cat welfare, or join our Contact Centre team and answer cat queries from the public when they call our National Information Line. To find out more about volunteering for Cats Protection, visit www.cats.org.uk/get-involved/volunteering or get in touch with your local branch or centre to find out what roles they have available. 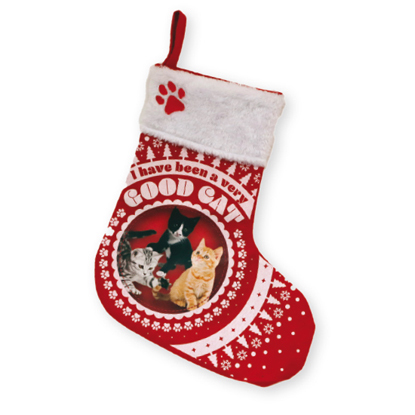 What is the best present to give your cat for Christmas? If you ask us, a cardboard box is definitely up there in the top five! Honestly, you can buy all the fancy toys and beds in the world but what a cat really seems to enjoy is a bog standard, unadorned, old fashioned cardboard box! The hours of fun that a box can provide are endless. A cat cannot only sit in it, they can climb on it, chew it or hide behind it should the mood take them. 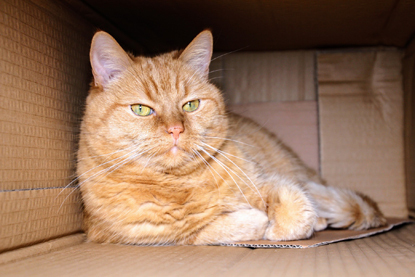 In fact the humble box is possibly the most versatile and desirable of possessions – if you’re a cat, that is. Leave an empty box on the floor, turn your back for second and I can almost guarantee that your cat will have inserted themselves inside. Never mind that you may be needing to keep it for yourself to store your Christmas decorations in or keep your presents all in one place – your cat has decided that they want it and that will be that! Large or small, square or oblong, a cat will find a way to squish themselves inside. So why the fascination? 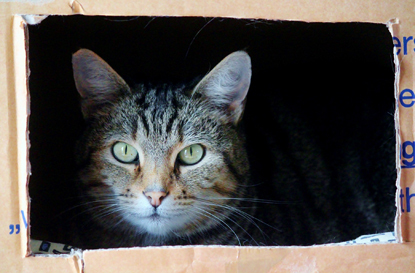 This slightly odd penchant for climbing into boxes or containers no matter the size or shape, can be explained by the fact that our domestic cats share ancestry with the African wildcat. The behavioural traits of wanting to find safe places to rest and looking for somewhere to get up off the ground, often as high as possible, are traits which hark back to the days when their ancestors had to employ such tactics to keep them safe while living in the African Savannah. When you are having to avoid being eaten by much bigger predators it is a very wise idea to try and find somewhere to sleep where you are hidden from view! Likewise it is a good idea to climb up somewhere high to keep out of harm’s way. Our own cats are still hardwired to behave in this way to keep themselves away from any perceived danger in a domestic setting. For a cat, a cardboard box is brilliant because it can serve both needs. It allows them to find a safe and private place to rest, away from the busyness of modern life, such as noisy people and other pets, and, if turned on its side, it provides an elevated place to sit and watch said world go by. Being able to control their environment in order to feel secure is something that makes a cat very happy. So don’t tidy away those boxes, leave them out and see if your cat wants to use them. How about making them comfy and festive by lining one with an old Christmas jumper? Recycling at its best! Forget the expensive plastic toys, happiness seems to come in a box! While you’re unwrapping presents and tucking in to Christmas dinner with all the trimmings, there will be caring cat lovers up and down the UK who will be busy with a very important task. Cats Protection will be caring for thousands of cats over the festive period, and so we rely on dedicated volunteers to make sure they receive the care and attention they need every day of the year – even on 25 December. “Christmas Day was always a grand affair with the family, friends, waifs and strays all coming to my house for lunch. Makeshift tables and borrowed chairs would be set-up wherever there was room, the importance being to ensure no-one spent time alone on this special day. 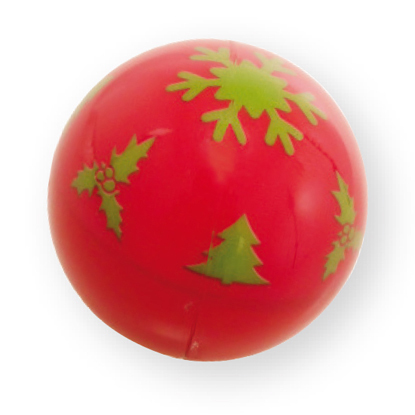 My cats would get spoilt rotten (they would always get a Cats Protection catnip banana for Christmas, which they loved) and I would end up an exhausted, frazzled wreck by the end of the day. It was lovely but with the younger family members growing up and having families of their own, it is now their turn to play hosts to us more ‘senior’ members. 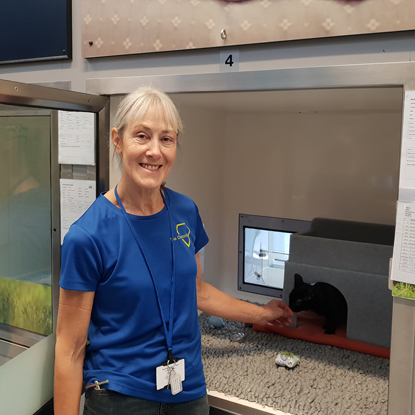 “Following early retirement from work, I recently became a volunteer Cat Care Assistant at the National Cat Adoption Centre and have enjoyed every minute of it. When the call went out for assistance on Christmas Day morning, I didn’t hesitate to offer. With no need this year to rise at 5am to get the turkey in the oven, what better way to start the day than caring for the cats and giving them an extra festive cuddle. 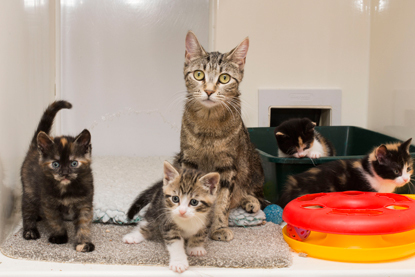 Hopefully, it will also enable one of the permanent Cat Care Assistants with a young family to get home a bit earlier and spend more time with them. If you would like to learn more about volunteering with Cats Protection, visit www.cats.org.uk/get-involved/volunteering for more information about the different roles available. 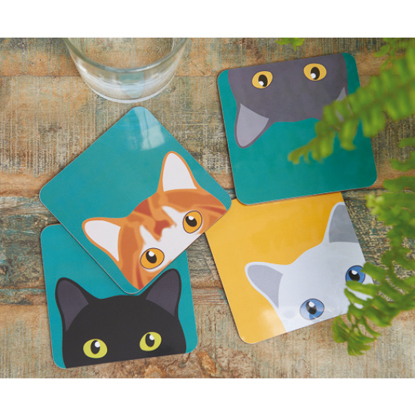 The cats that share our homes and gardens come in a whole rainbow of colours, from black, white and grey to orange, brown and even blue, but have you ever wondered why they have so many different hues and patterns? 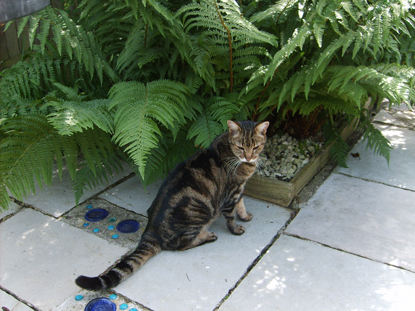 Our domestic moggies all share one common ancestor, the African wildcat, which has been around for millions of years. In the wild, they have no need for variations in coat colour, as it’s important for them to blend in with their surroundings to avoid detection from predators and prey. It wasn’t until these cats started to become domesticated in Ancient Egypt around 4000-2000 BC that camouflage became less crucial and different colours began to develop. 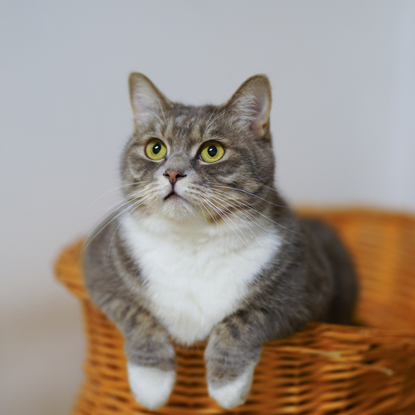 For the last 200 years, selective breeding in cats, mostly for appearance, has become more common, leading to the wide range of cat colours we see today. Roughly two thirds of ginger cats are male, and a third are female. The ginger colour comes from a gene mutation on the X chromosome and because female cats have two X chromosomes it’s more unlikely that they would have the ginger gene mutation on both, although it’s not impossible. Male cats have one X and one Y chromosome (the Y chromosome doesn’t carry information about coat colour), so only need one gene mutation to become ginger. Female cats with a tortoiseshell pattern will have a ginger gene mutation on one X chromosome, and their other X chromosome will dictate the rest of their coat colour. Because males only have one X chromosome, they can usually only be either ginger or not ginger, not a tortoiseshell pattern with patches of ginger. 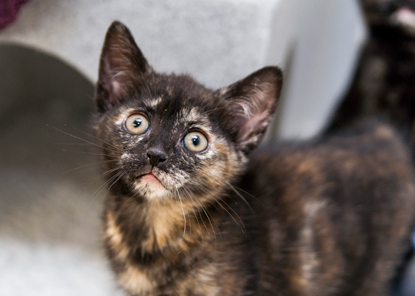 For a male cat to have a tortoiseshell pattern they would need to have an additional chromosome; two X chromosomes and a Y chromosome, which is extremely rare. 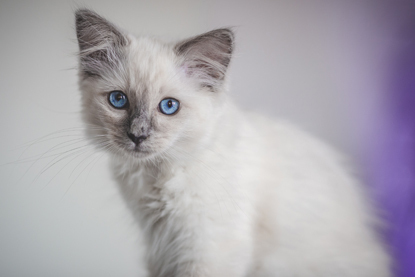 Congenital deafness predominantly occurs in white cats because the gene that causes a white coat can also be responsible for blue eyes and deafness. However, there are other factors that can influence these variations so while not all white cats will be deaf, most cats that are congenitally deaf will be white and have two blue eyes. The original cat coat is the striped or ‘mackerel’ tabby, with the ‘blotched’ tabby pattern appearing later. 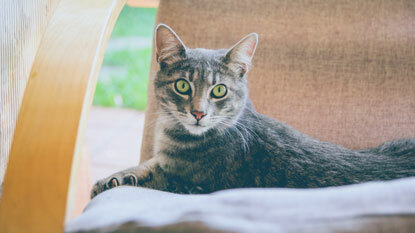 Whether a cat shows their tabby pattern depends on whether they have inherited the recessive solid colour gene or not. Even kittens with this gene will sometimes show their tabby pattern when they’re young, before shedding their kitten coat when they become adults, and often an adult solid colour cat in bright sunshine will have a faintly visible tabby pattern. 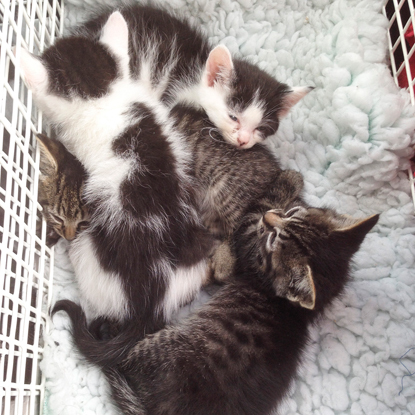 One litter of kittens can contain cats of all different colours, particularly if the mother has mated with more than one male. Male kittens will always inherit their colour from their mother, whereas female kittens will be a combination of the colours of each parent. Of course, here at Cats Protection, we believe that a cat’s personality is more important than its colour, which is why we encourage those looking for a new feline friend not to overlook the monochrome moggies who still have so much to give. What colour is your cat? Let us know in the comments below, or on Facebook or Twitter! 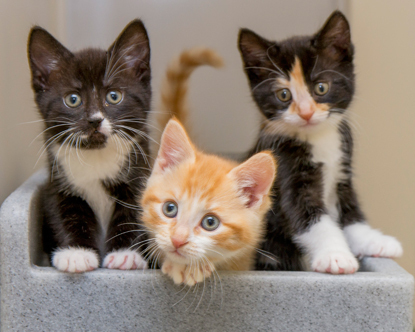 If you would like to adopt a cat, visit www.cats.org.uk/adopt-a-cat to find kitties of all shades waiting for homes in your area. For lots more cat-related information, visit the Cats Protection website. We all know how important it is for us to get our five portions of fruit and veg a day and citrus fruits are one of the most popular fruits available. There is also something very seasonal about the smell of spices and oranges. It reminds us of winter and especially Christmas. Citrus fruits also find their way into our fruit bowls at this time of year with oranges, lemons and limes all ready to be added to a seasonal tipple. It’s also still popular to buy a few satsumas as a traditional Christmas stocking filler! 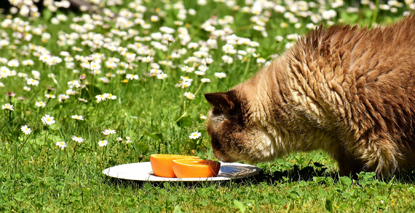 As the sweet, juicy taste of satsumas, clementines and oranges brings a welcome hit of sweetness to our palates you can be forgiven for thinking that a little segment of fruit will be enjoyed by your cat too. However, cats have an extremely sensitive sense of smell and as citrus fruits are very aromatic, what smells heavenly to us is way too over the top for cats. This dislike of citrusy scents can be turned to an owner’s advantage. If you want to discourage your cat from using a particular area of your garden as a toilet, leaving orange peel among the flowers may help persuade your cat to cease digging around your prize marigolds. The idea behind this is simply the cat smells the fruit, dislikes it and so wanders off. Interestingly, for cats who have come across this pungent smell before, it is likely that they will have an even stronger reaction to citrus smells than normal. Fortunately, this natural aversion to strong, citrusy smells means that cats tend to avoid eating it. This is just as well as ingesting citrus fruits can cause cats to experience gastrointestinal discomfort, vomiting and diarrhoea. But don’t panic if your cat does sample a segment or have a lick of your fingers after you have eaten a particularly juicy orange; cats would need to consume an excessive amount to be in danger of any truly severe reactions. While Christmas can be an exciting time for many, you might notice that your cat isn’t always a fan of the festivities. In fact, unfamiliar sights, sounds and smells can be unsettling for cats, so it’s no surprise that they can appear Grinch-like at this time of year. Whether you’re leaving your cat home alone or you’ve got various visitors around to enjoy the fun, it’s important to ensure your cat is safe and happy. To ensure all is calm this Christmas, take a look at our advice. If you’re visiting friends or relatives during the festive season, you might be concerned about what to do with your cat while you’re away. Cats are solo creatures, so most of them will be more than happy to spend Christmas on their own. However, you’ll still need to make sure they’re well cared for. Before you leave, make sure you note down everything your cat needs. You’ll need to include enough cat litter, food and medication for the time you’re away, as well as writing down your vet’s details and your emergency contact details. To make the task easier, we’ve created a cat-sitter checklist. Download it, fill it in and stick it on your fridge – it has everything your cat-sitter needs to know. If you are worried about your cat’s stress levels, there are things you can do to help reduce anxiety. Keep them calm in the midst of chaos with our five top tips. 1. Provide a hiding place somewhere quiet so they can escape the noise. 2. Offer an additional litter tray away from busy areas. 3. Use a pheromone diffuser to help calm them during stressful times. 4. Designate a special, quiet room for them where they can be left undisturbed. 5. 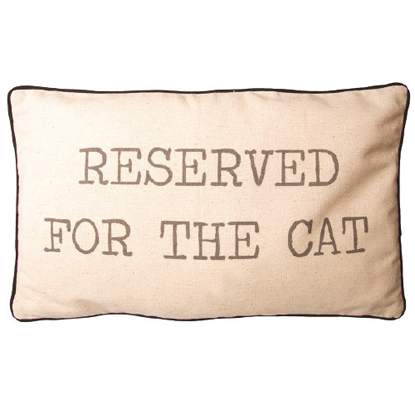 Ask your guests not to ‘crowd’ your cat, which can make them feel threatened. Cats Protection ‘movie star’ Kozal needs your votes! 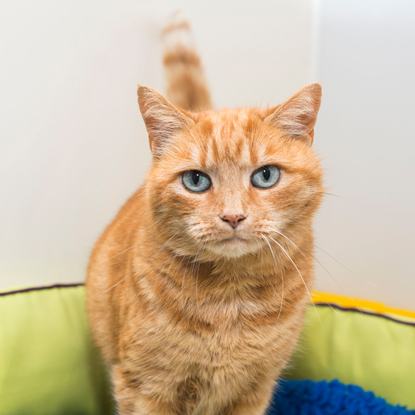 Last year Cats Protection created a tear-jerking film telling the true story of a gorgeous ginger moggy and his search for a home in time for Christmas. 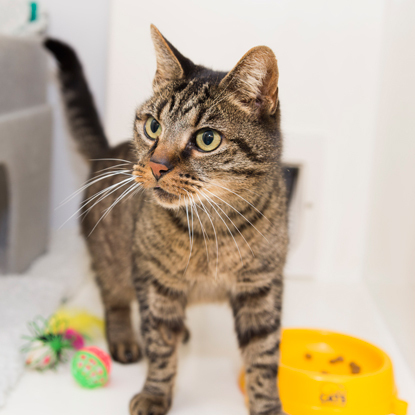 Sixteen-year-old Kozal had spent seven months at our National Cat Adoption Centre in Sussex as he kept being overlooked by adopters again and again. Then, in December, he was finally given a home by caring cat lover Jill Cash, and settled in straight away. Now he is getting ready to spend his second festive season in his forever home and Jill has kindly sent us another update on how he is doing. She said: “The 'movie star' is doing very well as you can see from the recent photos. His tummy was bald and pink when I got him but it is now fully grown over with white fur. He enjoyed the long hot summer lounging in the garden. Kozal’s Christmas film has been viewed over 900,000 times since it was first released and it could now even win an award! Cast your vote at www.charityfilmawards.com/videos/kozals-christmas-a-festive-tale-from-cats-protection and Kozal could be shortlisted for this year’s Charity Film Awards, giving him some much-deserved recognition! Then you can sit back, relax and enjoy this year’s Christmas film, another true story featuring 12-year-old Evie and her special bond with a cat called Genie. 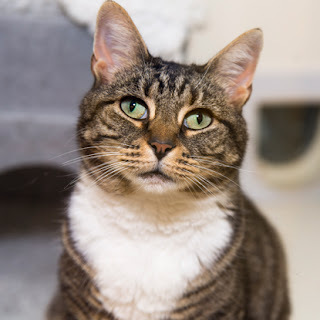 If you can offer a cat a cosy home in time for Christmas, visit www.cats.org.uk/adopt-a-cat and see the moggies ready for a home in your area. If you’ve been following our ‘How to train your cat’ series, you may have already mastered getting your moggy to sit and lie down on command. The next step you can try is to get them to go from lying down to rolling over onto their side or back. 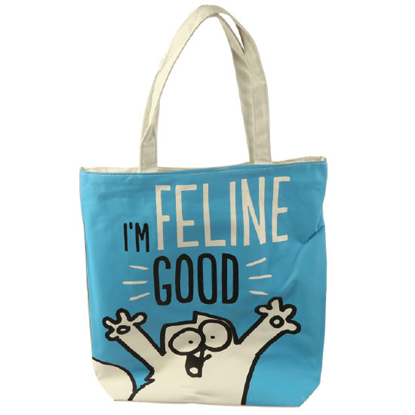 As well as being fun for you, this training will help to keep your cat mentally stimulated and by using positive reinforcement will hopefully boost their confidence too. Now you can begin training. Get your cat to lie down directly in front of you. You may find it easier to be sitting or kneeling at this stage. Hold the treat between the very end of your index finger and thumb with your palm facing downward. 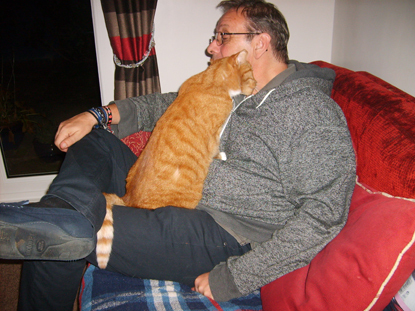 Sit in front of your cat with the treat 1-2cm away from their nose. If you want your cat to roll to your right/their left, slowly arc the treat on a slight incline towards their right ear. If you want them to roll to your left/their right, move it towards their left ear. 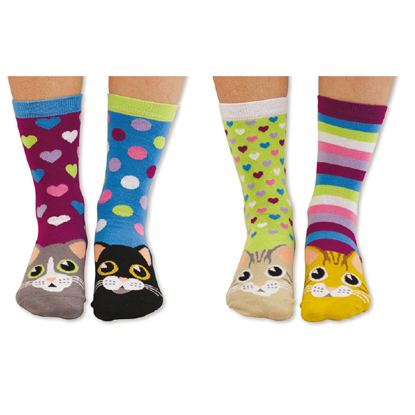 Your cat may have a preference or find one side easier so if they are struggling, try the other direction. Once you have found their preferred side, it’s best to stick with it. If your cat moves their head forwards to investigate the treat, this is fine. However, if they keep getting up, try a smaller movement so they are not over-stimulated. 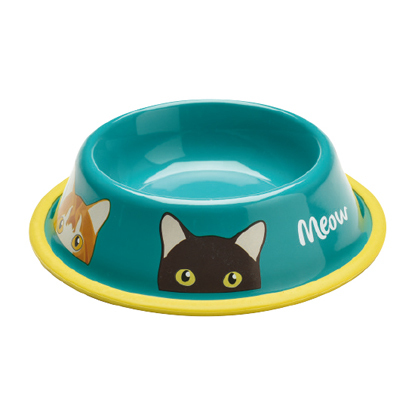 With the treat in front of your cat’s ear, slowly move the treat diagonally towards the middle of their back. Their eyes should follow the treat so that they look over their shoulder. Often the slower you move the treat, the easier your cat will be able to follow it. Continue to move the treat diagonally and your cat should roll over onto their side. As soon as they do this, give them some verbal praise and offer the treat. Repeat steps 1-6 until they successfully roll over every time. Once they have mastered this, repeat the process using smaller hand movements, keeping the treat closer to your cat’s head. If your cat still rolls onto its side, move the treat further off to the side so that they continue to follow it and rolls onto their back. When they do, give them some verbal praise and offer the treat. Next you can try getting them to roll all the way over onto their other side by continuing to move the treat off to the side when they are on their back. Again, repeat this process a few times, giving them verbal praise and the treat each time they get it right. When they are happily rolling over every time, you can start to reduce the reliance on the lure of treats by only pretending to get a treat out of the bag each time. 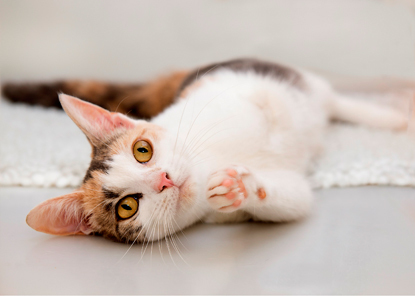 Still present your cat with your hand and use the same movements, then when they successfully roll over still give them verbal praise and a treat. After a few successful attempts, you can start to use the hand movements without pretending to take a treat, but always give them verbal praise and a treat if they get it right. Finally, you can try getting them to respond to a verbal cue instead of your hand signal. Keep going with the same process, but say your chosen cue word (eg ‘roll over’) one second before you make your hand movements. Eventually your cat will learn to associate the verbal cue with the action and do it before you move your hand. Remember, always give them visual praise and a treat when they do it right. Throughout training, try to keep sessions to a maximum of three minutes long and then give your cat a break. If you can stick to three, three-minute sessions a day, you should hopefully be able to get your cat rolling over in response to your verbal cue within seven days. 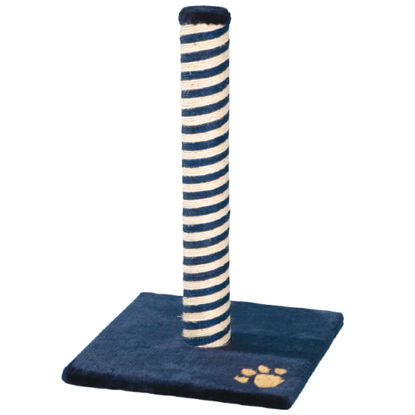 However, it’s important to remember that some cats will take longer to master this than others, and some may not get it at all. Be patient and if you find yourself getting frustrated, take a break and come back to it later. It’s important not to physically force your cat into position, as this will cause them to become stressed and could lead to behavioural or medical problems. Training should be a fun experience for both you and your cat, so always use positive reinforcement and make sure they have the choice to stop if they want to. 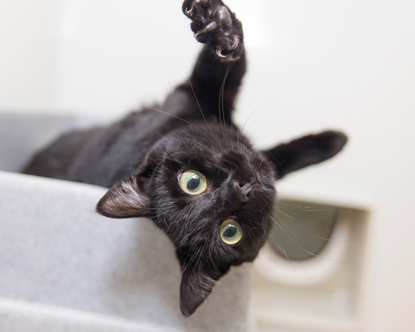 Have you managed to successfully train your cat to roll over on command? Let us know in the comments below or on Facebook or Twitter! If you’ve ever noticed your moggy staring at the television, seemingly captivated by what’s on the screen, you may have wondered what it is they actually see. While some cats are not bothered by the small screen, others will watch intently, particularly programmes featuring other animals. Some studies have indicated that cats are able to identify imagery on TV, as we know that they can distinguish between outlines, patterns and textures. However, we do not know with certainty what they perceive the images to be. Cats rely much more on other senses, such as hearing and smell, to understand the world around them, so for some cats it may just be the noises they hear and fast movements that see that attract their attention towards the screen. Cats that are more active hunters may show more interest in the TV than others. If they appear to be watching the action and have their eyes open with narrow pupils and their ears and whiskers pointed forward, they could be stimulated by what's coming from the TV. However, if they are watching with dilated pupils and flatter ears, this could indicate that they are more concerned and stressed by what is on the screen, and so should be given the opportunity to run away if needed. Why are some cats particularly interested in big cats on TV? All of the different species of the cat family that are around today have evolved from one common ancestor, and although our domestic moggies split from their lion and tiger cousins a long time ago they may still be able to recognise their feline outline or facial features on screen. However, even if they can identify other cats on television, the majority of cats are unlikely to feel threatened by them as they would a neighbour’s cat, because they cannot detect their scent or other cues that tell them it is a real cat. It could also be that owners are more likely to pick up on their cats watching other cats on television because of their own associations when actually their cat watches TV at other times too. To find out more about cat behaviour, visit the Cats Protection website. Are you an expert on keeping your cat safe in winter? With winter well and truly underway, you might be concerned about how you can keep your cat safe at this time of year. 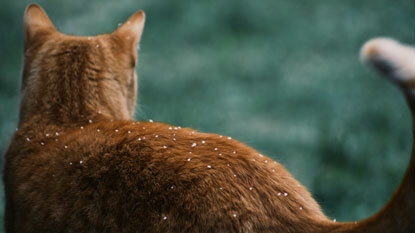 Plummeting temperatures, darker nights and icy weather can all present a risk to cats. To find out if you know how to keep your cat safe and happy during the colder months, take our quiz. Focusing on everything from calming your cat during fireworks season to keeping them warm during colder spells, you can find out whether you’re a cat expert. Don’t worry if you don’t get full marks – you’ll pick up some great top tips along the way! 1. During cold weather, make sure your cat comes inside at night. 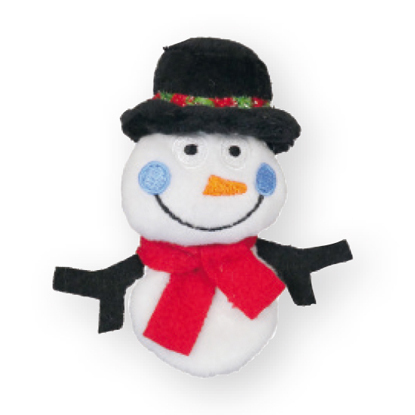 Provide them with warm, comfortable and safe places to sleep. 2. Make sure your cat is microchipped in case they stray. That way, they can easily be traced back to your address. 3. 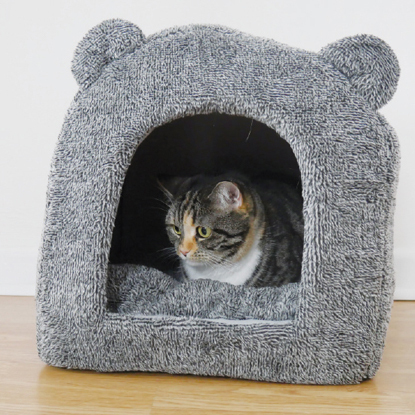 Provide a litter tray somewhere private so that your cat doesn’t have to head out into the cold to toilet. 4. During fireworks season, keep your cat in after dark and make sure that your cat flap, windows and doors are closed so that your cat doesn’t panic and escape. 5. Screen off open fireplaces and supervise your cat if you have lit a fire. 6. Cats that are outdoors may crawl into a warm car engine to get warm – check your car before you start up your engine. 7. Avoid using anti-freeze to clear your car windscreen of ice. De-icers and screen washes use Ethylene glycol, a chemical that can prove deadly to cats if they ingest it. 8. As the evenings get darker, reduced visibility makes traffic conditions riskier for outdoor cats. If you’re worried, keep your cat inside. 9. Regularly check sheds, outhouses and garages to ensure your cat isn’t locked inside. 10. Make sure your cat has plenty of fresh water indoors, in case any outside sources freeze.